Originally from Shreveport, Louisiana, American Book Award winner Jericho Brown worked as a speechwriter for the Mayor of New Orleans before earning his PhD in literature and creative writing from the University of Houston. The recipient of a 2009-2010 Bunting Fellowship from the Radcliffe Institute at Harvard University and a Whiting Writer's Award, he was a finalist for the 2009 Lambda Literary Award and Paterson Poetry Prize and was nominated for a Pushcart Prize. Jericho also received fellowships to the Krakow Poetry Seminar in Poland and Bread Loaf Writers' Conference. He presently teaches at Emory University in Atlanta, Georgia. Blast Furnace had the privilege of hearing Jericho's stirring reading of Langston Hughes' "My People" at a 2011 tribute to the late poet. Following the reading, we added Jericho's first full-length poetry book, Please (New Issues Poetry & Prose), to our library. In 2014, his second poetry book, The New Testament, was published by Copper Canyon Press, and has received high acclaim. Blast Furnace is pleased to present the following interview with Jericho, who kindly took the time to review and answer our questions during travels at the busiest time of the year - the holiday season. Do you make a daily practice of writing? I write at least one line every day. I try to be vulnerable enough to the work that if I overhear something or if a line comes to me, I put it down on paper...well actually, I put it down in the notes app of my phone. I don't feel like I "write" every day, but I do write every day if that counts. I think when poets say "write" they mean generate and/or revise. I write things I think hard about each day of my life (like the answers to these questions or like emails to my students or like a line or two that sound attractive to me), but none of that feels like writing. I only think I'm writing when I'm pushing toward the unmoored finality of the last line in a poem. In my own process, that's so far down the trek of accumulating lines and messing with them that I never feel like I'm writing at all. I pray every day. I work every day. And I think that’s more to the point. Does the music of poems, such as “Prayer of the Backhanded” (from Please), particularly the alliteration, come naturally to you? I practice everything I want to do as a writer. The more we practice, the more “natural” things feel. I’m not sure what people mean when they ask me how “natural” things are for me, and I get asked a lot about how natural it is for me to create. I imagine anything I do in a poem is as natural as anything Shakespeare does in a poem. Was it natural for him to rhyme? When someone does something naturally, does it suggest that he or she hasn’t made the decisions artists make in every move their creations take? Is it natural for Pound to use images? For Bly to make them surreal? For Brooks to make use of personae? For Dickinson to imagine death? For Dante to take us to hell? For Armantrout to question clichés? For Keats to be comfortable holding more than one idea in his mind at one time? For Rumi to believe God lives in language? For Plath to blind us with color? For Dove to have subtle endings? For Szymborska to ask questions? For Glück to use contractions? For Duncan to be discursive? And if the answer to all of these is yes, if everything anyone has ever done is natural, then aren’t those who wish to learn to do them totally fucked? I doubt anything about writing is natural since someone taught each of us to take a pencil in hand and form the letter A. Do you find that when you write, you are sometimes struck or even surprised by where it goes and how it ends? I’m not done with a poem until I’m “surprised by where it goes and how it ends.” I remember being particularly proud of the ending of “Morning” when I wrote it. It was one of the first times I felt myself moving more successfully toward this goal I had for endings. I wanted to write poems that allowed me to make discoveries or, at least, to ask the questions that I didn’t know to ask before writing. These discoveries are called “resolutions” when they happen in sonnets. But while I thirst for resolution, I don’t want the poem to speechify or to summarize or to wrap up at its end. I want surprise that is also somehow inevitable. Has winning the American Book Award changed anything for you? I know I’m not supposed to be, that it’s somehow uncouth, but I’m actually really glad when people who read get together and decide something I’ve written should be recognized by a prize. I understand that awards have nothing to do with whether or not a poem or a book will last in the hearts of those who read it. But prizes can help to introduce work to people, and it’s nice for the work to have the chance at moving a heart no matter it may come to that chance. I was really happy to get the American Book Award because, at that time, I felt that the first book needed something attached to it that could help it as a kind of recommendation to those who might think to open it. I was particularly honored because it was a prize Brenda Marie Osbey had won in the past, and I liked the idea of my name being somewhere near that of a poet I had admired for so long. Osbey is a fellow Louisianan, and we’re both alumni of Dillard University. Also, going to that awards ceremony gave me the chance to meet Ishmael Reed and Linda Gregg, both of whom are idols to me. But let me be clear and not taken out of context. Poetry is not about how many prizes a book wins. Poetry is about how much space a book holds in any human heart. And everybody knows that when we look at some of the books on the history of any prize list, something other than the heart might have been at play when that book won the prize. It is best for us to either write like we will never win a prize or to write like we’ve already won every prize. And it’s even better for us to remember that Dickinson and Whitman never won any. What is your response to an editor or critic who feels too much has been written about sexual identity? Why would anyone trust an editor or critic who has lost all credibility by locking out anything as subject matter? And since when is sexual identity only about sexual identity? Isn’t a poem of sexual identity also a poem of the mind? Of the spirit? Since when is sexual identity only about sexual identity? Isn’t a poem of sexual identity also a poem of the mind? Of the spirit? There is clearly not enough of anything. I’ll believe there are enough poems about sexual identity as soon as gay men stop killing themselves and sooner when their families stop wanting them dead. What made you a lover of the poetic line? The first time I was in graduate school, my teacher John Gery used the 7th edition of Poulin’s Contemporary American Poetry, and my other teacher Kay Murphy used Dacey’s Strong Measures. I think paying attention to selections by Bill Knott and Maura Stanton in those books helped me see the line in a way that I could understand it as a priority in making music through language. Before that, I was much more interested in line breaks, having read Plath’s “Edge” and Hughes’ “Suicide’s Note,” than I was in the line itself. I was caught up in meanings line breaks could make rather than the music lines can make. Of course, I now try to push and pull at both when I’m writing. You have talked in other interviews about how you had to embrace all aspects of who you are as an individual. Has writing poetry helped you to do that? Has it brought about aspects of healing and forgiveness that may have once been difficult? In order to write well, I must have at my access all of my experiences, all of my intellect, and all of my imagination. I don’t believe in prohibiting anything from making its way into a poem. I don’t believe in some odd idea of hierarchy when it comes to subject matter. I have to be vulnerable and open to any idea that enters my mind when I write a poem. The more comfortable I am with facing all of me, the better I’ll be at allowing any part of me into my work. Healing and forgiveness is work. It’s not as simple as putting something out of your mind. It’s a magical balancing act of understanding that you can be hurt without wanting to kill the one who has hurt you. What little therapy I’ve had and all the prayers I’ve said have set me on a road toward forgiveness, but no, all has not been forgiven. For instance, forgiving my father and mother is a little easier every day because I can be empathetic, can understand how they grew up, can see their own individual pains and how those pains led to decisions they made about parenting. Forgiving the USA, on the other hand, its system of race, its capitalism, its Puritanical vision of gender and sexuality…well, that takes a different kind of work. Some would say that entitling a book of poetry The New Testament could be quite risky. Did you feel or do you ever feel trepidation about releasing your work out into the world? No. I’m a poet. I see poet as a worthy identity. I like making books, and I have no shame about reading them. I also like that having a book in the world allows me to be a part of a larger conversation and longer tradition I deeply respect and admire. The shame everyone is supposed to feel about loving something as wonderful as poetry and about taking the risks that poetry must take is foreign to me. Discuss how the poems for your second book came about. Was it a steady flow of inspiration and poems, or did you write segments at a time? What inspired you to create it as a collection? The New Testament is about what it means to be a brother, a lover, and a citizen in a country where your brotherhood is criminalized, your love is damned, and your citizenry is thwarted. It began after I missed the funeral of my cousin Messiah Demery. For a few months of his very short life, Messiah was raised my parents in our house as my brother. In that time, he was baptized at our church and caught a beating from my mother. The beating is of interest because I remember him “deserving” it and remember her crying after she gave it; she never cried after whipping her own children. I couldn’t get to his funeral because I had recently moved to San Diego and had already spent money on another holiday ticket back to my hometown of Shreveport. When I made that holiday trip, I found myself surprised that Messiah wasn’t there. Another cousin of mine told me I needed closure, so I googled his name thinking something online would help me understand that he was really gone. All I found were crime reports of how he died (one of which I made into the poem “Found: Messiah”), rather than the all of who he was alive. His death led to my thinking of my own, particularly in relationship to the fact that I have never told anyone in my family that I have HIV. Every death and fear of death led to me thinking about another. Which poem in the book was the most challenging to write and why? After making the allegory of the book, I talked with friends who said its biggest risk was that readers might not fully understand that it was an allegory. I gave myself the assignment of writing the poem that turned out to become “Make Believe” in order to make that allegory clear. But I kept having to trick myself into thinking it wasn’t an assignment so that I could work on the poem in the way that I make my other work happen. Now that I’ve answered these questions, I’m going to put the finishing touches on a letter to my father in which I come out to him and explain to him why his desire to move to Atlanta scares me. I have to look over a few of my students’ poems too. I’ll probably head to the gym today after I get off this flight. 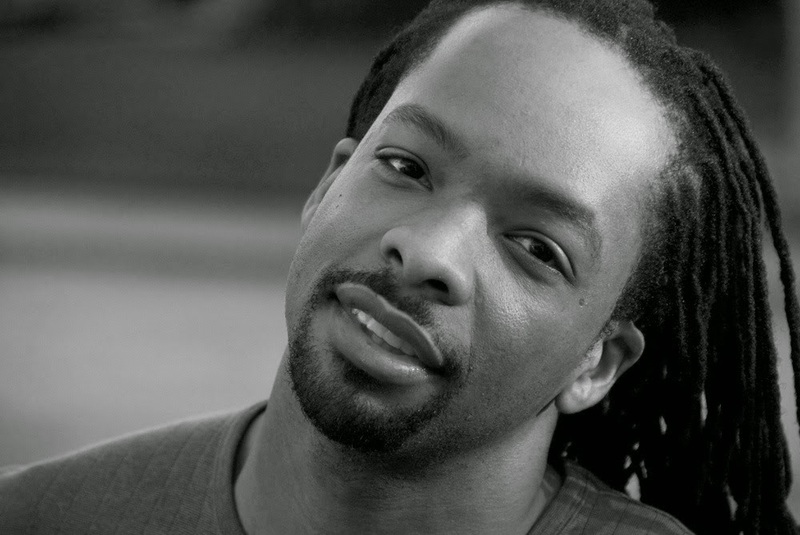 Editor's Note: Visit Jericho Brown's official website, where his books of poetry are available for purchase, at http://www.jerichobrown.com.